It’s hot out there, but Dr. Cool and Team Shenanigans want to help you keep your cool. 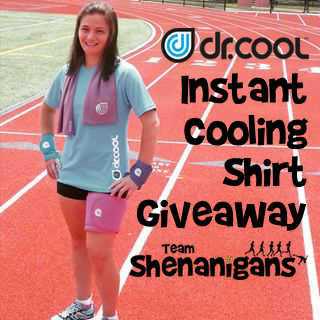 We are teaming up to give away a men’s or women’s short-sleeved instant cooling shirt in your choice of color and style. We have taken their Instant Cooling Shirt into the Gear Lab, and we’ll have a full review soon, bur early results are impressive! These shirts are made from chemical-free wicking material, but unlike most other technical fabrics, these actually cool your skin by reducing the fabric’s surface temperature up to 30%. It sounds unbelievable, but it’s true! Because Dr. Cool apparel is chemical free, the cooling benefit never washes out. Right now, Dr. Cool is running a 40% off sale on their short-sleeved and sleeveless instant cooling shirts, and shipping is free on orders of $50.